Alonzo Weaver is Vice President of the Engineering and Operations Division at Memphis Light, Gas & Water, Tenn. and is responsible for energy acquisition, community offices, Customer Care Center, metering/billing, commercial and industrial relations, customer service field operations, electric substations, water pumping stations, gas regulators and wells. Weaver joined MLGW in 1983 as an Engineering Assistant in Electric Operations and was promoted to Operations Assistant in that department in 1987. He later served as Assistant Manager for the North Service Center before being promoted to Manager, Electric Operations in 1992. Weaver graduated from Rensselaer Polytechnic Institute with a B.S. in Mechanical Engineering in 1983 and attended the University of Memphis where he received an MBA in 1997. He also attended Rhodes College Institute for Executive Leadership and completed the MLGW Executive Development Program in 1988. 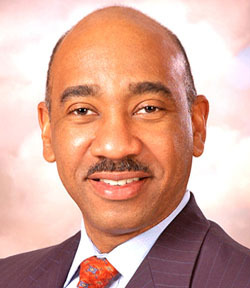 Weaver is active in several industry associations, such as the American Public Power Association, the American Public Gas Association, the American Association of Blacks in Energy, the Automated Meter Reading Association and the American Gas Association. He holds office on the boards of Dixie Boys and Girls Club, Grant Center, Junior Achievement and United Way Allocation Committee.